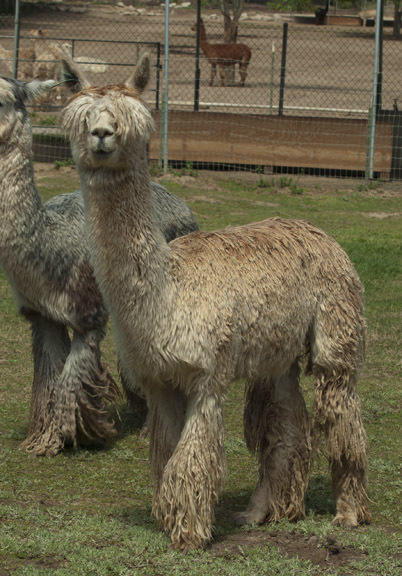 AWH Whirligig is a darling girl, but aside from being cute, she has fleece traits that are outstanding and highly heritable. 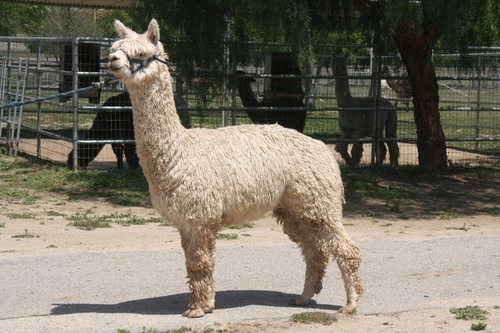 She is dense, lustrous, and her fleece is very consistent. $2,500 A hand spinner's dream! 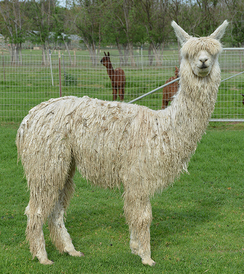 Creamy--that's the best way I can describe Wind Chimes' fleece. In her 3rd fleece she still shows beautiful organization and luster. She is a hand-spinner's dream! 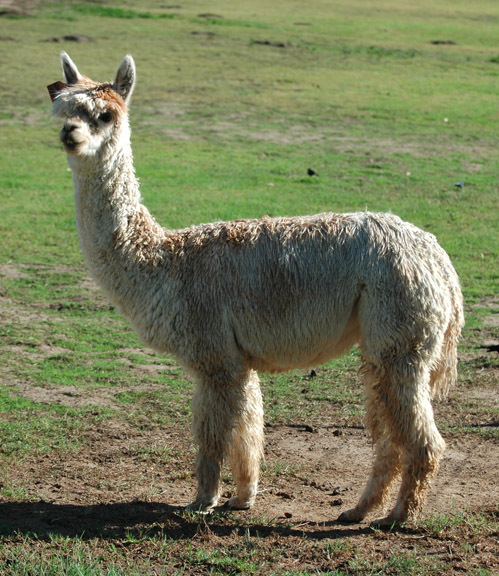 She is built well--nice and square with good spring of rib for capacity in carrying crias easily. She gets pregnant easily, births easily, and feeds her babies well. She has a sweet temperament and is easy to handle. has a fawn patch on her saddle with adds interest and variation to her finished product. She is uniform between the 2 colors. 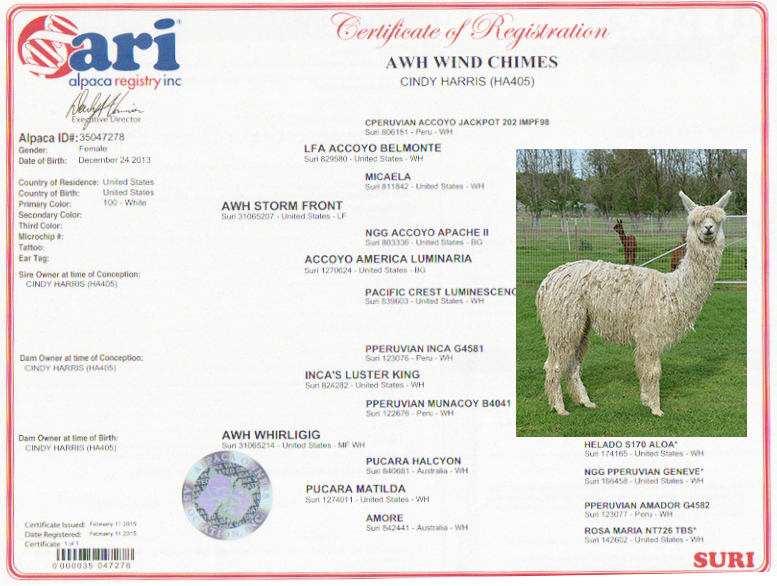 If you are looking for a female to add to your fleece production her, Wind Chimes is the girl for you!